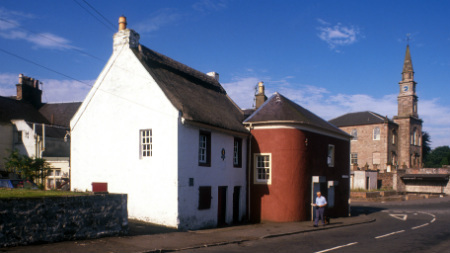 A few years before his first collection of poems was published, Robert Burns co-founded the Tarbolton Bachelors' Club in this curious red-shuttered, thatched 17th-century house. It was here that he learned to dance, became a Freemason and created a men-only debating society. Bachelors' Club is a must-see for Burns fans and gives a rare insight into the secrets of male social life of the age. Downstairs is an 18th-century living space, while upstairs are the meeting rooms once used by Burns and his friends.